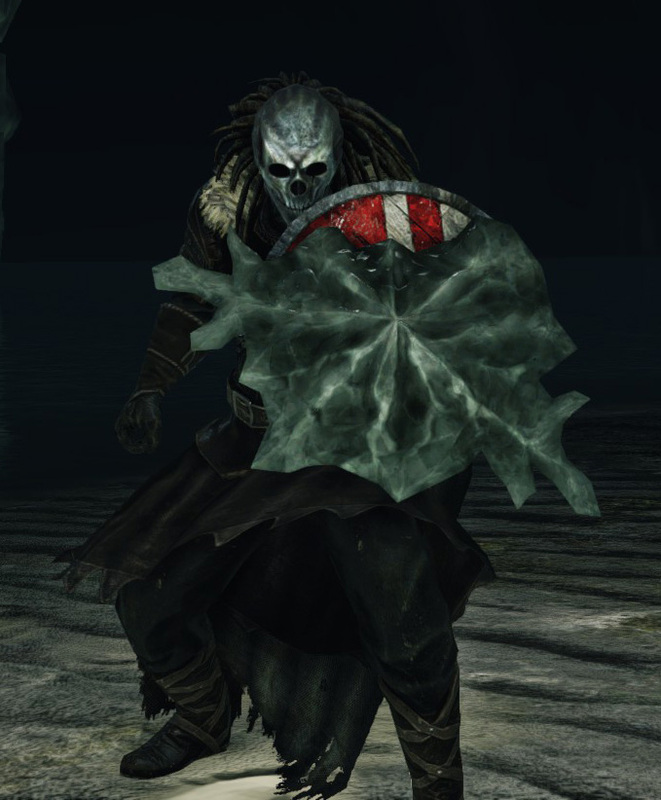 A shield affixed with a black crystal. crystal boosts its defense against slashing. Sold by Chancellor Wellager for 8,000 souls after defeating the Looking Glass Knight. A Crimson Parma covered with some sort of dark crystal growth. 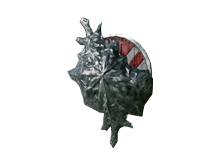 It protects slightly better against physical damage, fire and magic, is more stable and confers notable petrification resistance, but is more than twice as heavy. Paired with the Black Flamestone Dagger.